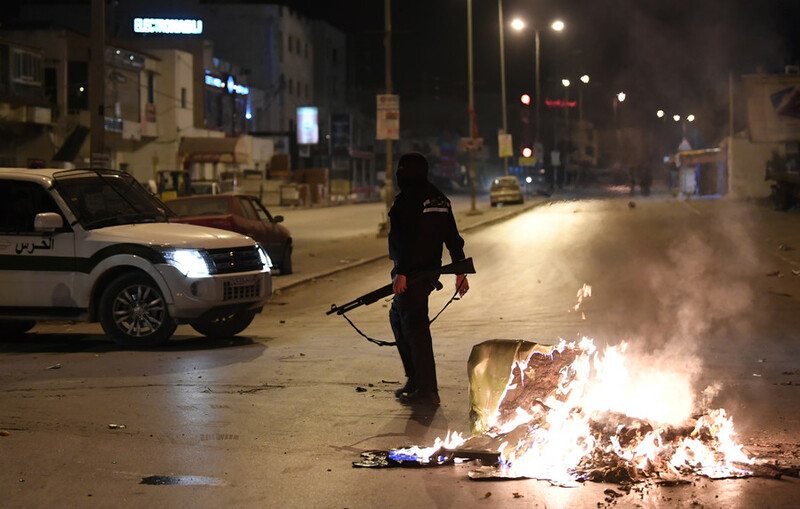 Police used tear gas against protesters, who hurled rocks and set tires on fire in Tunisia on the 7th anniversary of the ‘Arab Spring,’ after a week of a widening crackdown on anti-austerity protests and nearly 800 arrests. 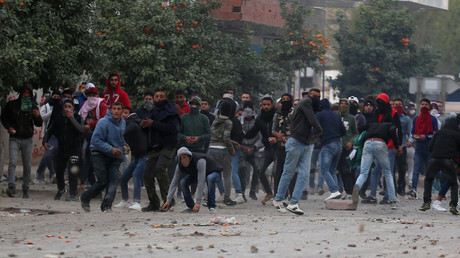 Hundreds of youth protesting price hikes and tax increases announced by the cash-strapped Tunisian government on January 1 clashed with police in two neighborhoods of the capital, and in the city of Feriana on the Algerian border. 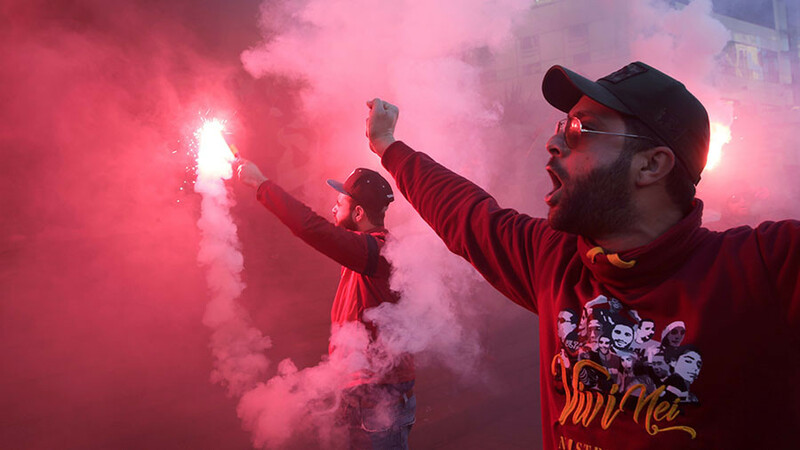 Protesters hurled rocks and other projectiles, set off fireworks and set rubbish and tires on fire as anti-austerity protests, which have been raging in the country over the past week, again turned violent on Sunday evening after a two-day respite. Nearly 800 people were arrested in a widening crackdown on the dissent. 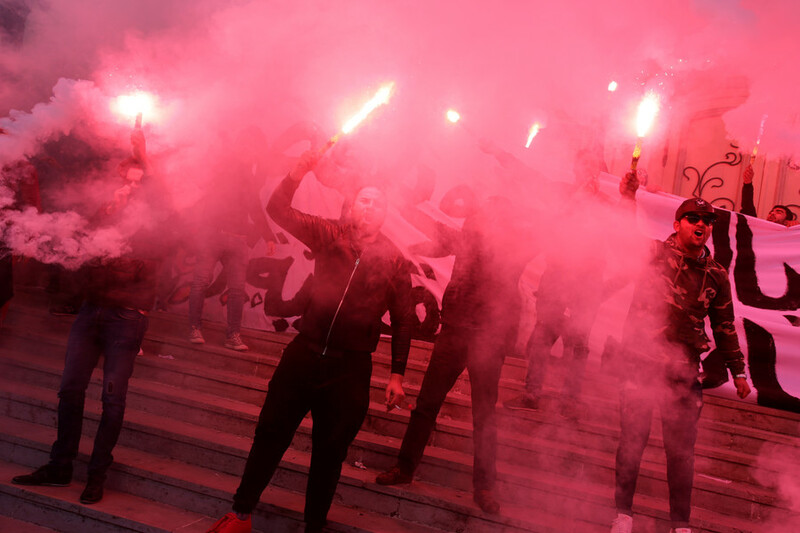 The Tunisian government deployed over 2,000 soldiers to stop the unrest, as the opposition accuses the authorities of indiscriminate arrests. Seven years ago, on January 14, 2011, long-serving Tunisian President Zine el-Abidine Ben Ali was forced into an exile in what was hailed as the first major ‘success’ of the nascent Arab Spring movement. 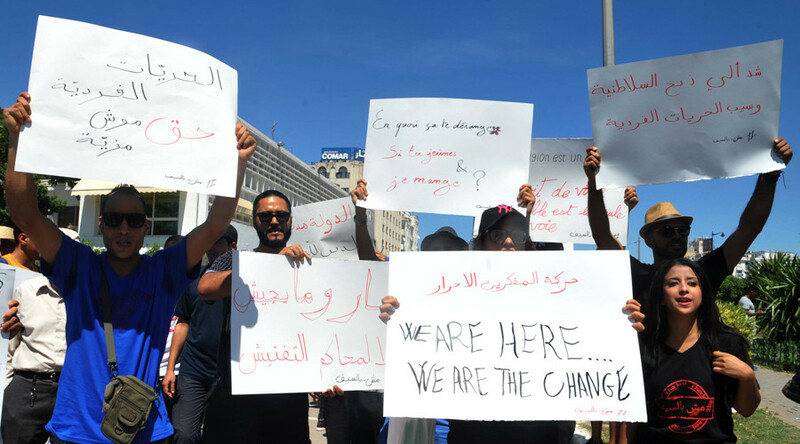 While Tunisia is perhaps the only country which went through the Arab Spring and came out as a democracy without descending into bloodshed, the eight successive Tunisian governments have been unable to find a way out of the economic slump, which has driven thousands of Tunisians to the brink of poverty. 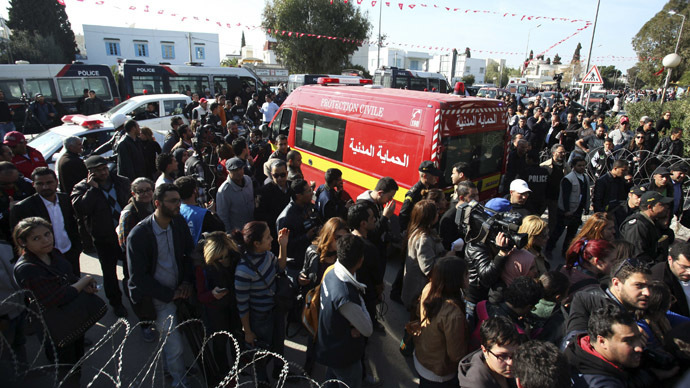 In a bid to quell the unrest, the Tunisian government on Saturday pledged 100 million dinars ($40 million) to help the most impoverished families, and announced free health care for the unemployed. While the unemployment rate officially stands at a little over 15 percent, the number of jobless youth has reached 35 percent, according to the International Labor Organization. 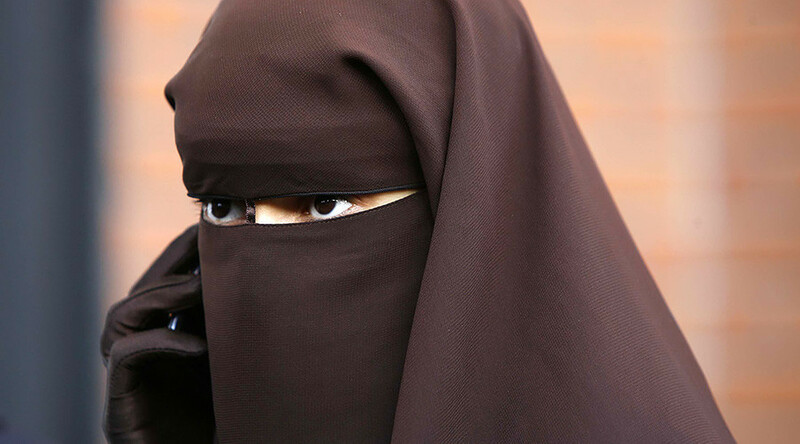 In another symbolic effort to appease the protesters, Tunisian President Beji Caid Essebsi opened a youth center in the poor working-class district where a protester was recently killed, defending the modest aid measures taken by the government as “better than nothing,” according to Bloomberg. 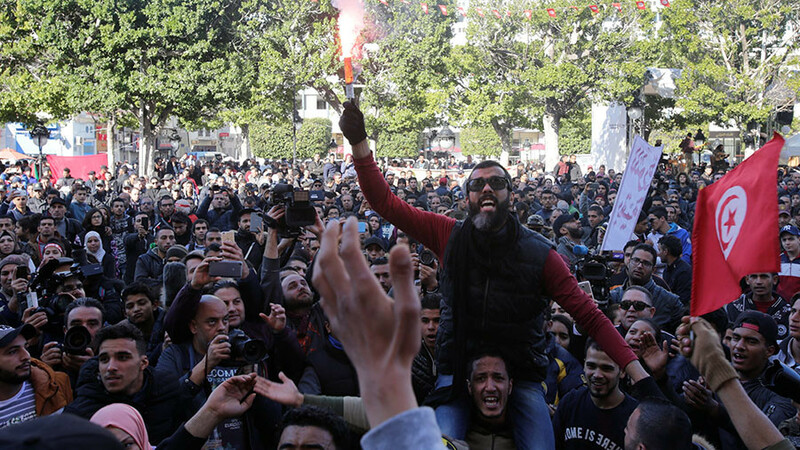 Dissatisfied with the government’s response to the crisis, around 2,000 people held a series of peaceful rallies in downtown Tunis, including one in front of the Labor Union headquarters, to mark the anniversary of Ali’s toppling. 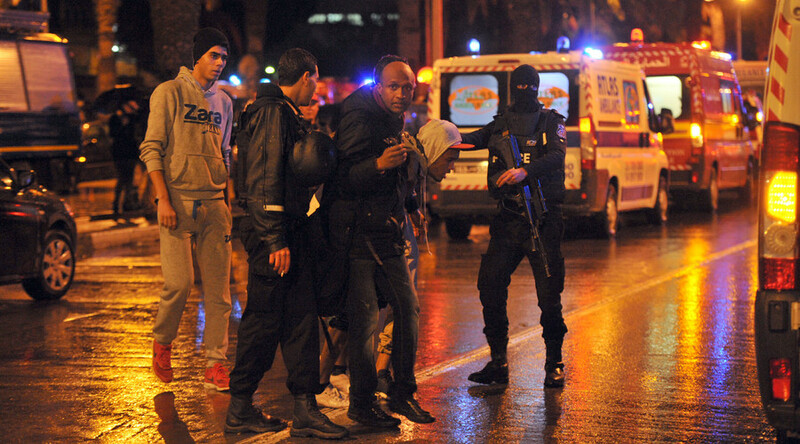 “We are proud of our freedoms, but we are far from the goals of the revolution concerning dignity and betterment of the population’s conditions,” opposition lawmaker Ghazi Chaouachi said in an interview on Sunday, as cited by AP.